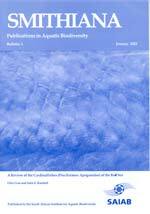 en A survey of tail spine characteristics of stingrays frequenting African, Arabian to Chagos-Maldive Archipelago waters. Tail spine characteristics were examined of 51species (including one subspecies) of stingrays frequenting African, Arabian to Chagos-Maldive archipelago waters. Thirty-four species (313 males, 405 females) possessed intact spines, 12 species lacked tail spines. Spine characteristics recorded were: total length, prebase length, serrations (right and left), serrations or spaces on the spine base and if a dorsal groove was present. Spine total serrations ranged 36-261; spine serrations of males were usually more numerous than of females, sometimes twice as many. Total serration count seemed to be associated with stingray habitat and behavior, those of active open water rays have high counts, while benthic or freshwater ray species have low counts. Disk width, spine length, prebase length and presence of a dorsal groove is not correlated with size or type of stingray. Likewise the number of spine serrations does not increase in more derived genera. A combination of spine characteristics does, however, define a species. These features will help scientists, paleontologists and physicians identify a species.